Commentary – See You in Louisville! The Green Industry Conference in Louisville, Kentucky is one of our favorite events of the year. The opportunity to experience something of the industry’s energy, participate in educational offerings, tour the trades show floor and reconnect with industry associates, clients, prospective clients, former clients, and just plain friends makes it a can’t-miss meeting for us. We’ll be participating in most major GIC events, including the Breakfast with Champions on Thursday and Friday mornings. We would very much like to visit with you during the conference. If you would like schedule a time to meet, please email me at [email protected] or give me a call at 901-351-1510. We are staying downtown at the Louisville Marriott and can meet there , at the Expo Center during the GIE+Expo or at another convenient location.  As always, if you are considering selling or buying a green industry business – or beginning the exit planning process, we would welcome the opportunity to speak with you. Not long ago, someone asked me if I thought a seller’s market had developed in the green industry. I responded with an unequivocal no. I’ll explain why that is the case now and is unlikely to change anytime soon. First let me say that if the definition of a “seller’s market” is that there are more buyers than sellers, I guess it would be a seller’s market. In my experience, there are ALWAYS more buyers than sellers. But that does not mean that it is easy for a seller to complete a transaction at a valuation he or she will find attractive. The valuation expectations of buyers and sellers relate closely to the objectives of buyers and sellers in considering a transaction. This also helps explain why their valuation expectations are often very different. A buyer’s objectives usually include growing their business through market expansion or expanding their service or product line offerings. They seek to grow their business and increase revenues and profits. They will logically consider an acquisition only if they expect to be able to earn a return on their investment that is reasonable based on the risk they are taking on with an acquisition. All acquisitions are risky, but riskier acquisitions are going to be valued lower because the buyer will expect a higher rate of return on his or her investment based on the risk perception. The seller’s objectives are to maximize the value of the business and exit the business financially stable for the next chapter of their lives, whether that involves retirement, a new business venture or other possibilities. Because of the inherent risk associated with business ownership, it is rare that a business owner can sell his or her business at a valuation that will enable him or her to replace their cash flow from the business with cash flows from lower risk investments. Put another way, there are many business buyers who would buy another business if only they could find one they could buy at a valuation they consider reasonably given their return on investment expectations. Similarly, there are many business owners that would sell their business if only they could realize a valuation that would allow them to achieve the post-business ownership objectives. Unfortunately, these valuation expectations of buyers and sellers rarely coincide. Hence the reality that, despite the theoretical existence of more buyers than sellers, it is very rare for a “seller’s market” to develop. I believe that the biggest reason for the valuation gap is very real. The reality is that a typical green industry business really is worth more to its current owner than it would be to a buyer. This is because the business has or can provide a good income to its owner while offering him the perks of small business ownership. While many might complain about all the things a business owner has to deal with, including fierce competition and ensuring a stable workforce, in many cases the positives, including financial rewards and It is highly unlikely in most cases that a business owner can generate enough from the sale of his or her business to maintain his or lifestyle after the sale without supplementing the proceeds with other retirement savings or income from a new venture. There are other reasons for the valuation expectations of a seller to be unrealistic. For one, every one knows that some green industry businesses sold for astronomical valuations just a little more than ten years ago. Many business owners have hopes that high multiples will return as the economy strengthens. That is an unrealistic expectation in that buyers are far more disciplined today, partly because of the often disastrous results from those high multiples a few years ago. In addition, buyers’ financing sources, whether lenders or private equity firms, are looking over their shoulders. Business owners also develop unrealistic expectations of the value of their business by making incomplete comparisons of their businesses to ones that have sold. These incomplete comparisons often assume valuation is as simple as multiplying a factor times EBITDA (earnings before interest, taxes, depreciation and amortization). While that may in fact be a starting point, valuation is always based on expected cash flows and return on investment, so many other factors are involved in a buyer’s assessment of future cash flows, factors that may be very different between two businesses with similar EBITDA. And, of course, the multiple one seller receives may not really be what another business owner heard it was. That being said, the best businesses will command the best valuations. Potential business buyers are typically looking for opportunities that fit into their strategic plan and can be acquired at valuations that they consider reasonable. They expect significant returns on their investment in an acquisition. This results in higher discount rates and lower multiples. All acquisitions are considered risky by a buyer. And some potential acquisitions are riskier than others. Another factor that business buyers consider is how much additional investment will be required in addition to the purchase price. Some factors that influence that additional investment include working capital requirements (how money the buyer will have to inject before cash flows from customers kick in) and expected capital expenditures (such as replacing an aging fleet or upgrading a physical facility. These factors also do not fit in neatly to a multiple rule of thumb. There is no doubt there are very significant forces keeping buyers and sellers apart in terms of valuation. However, there are buyers who have strategic reasons to pursue acquisitions to strengthen their businesses and there are sellers who want to sell, in addition to sellers who need to sell. How, then, can potential sellers and buyers narrow the gap and find common ground on valuation. Sellers can focus on valuation drivers they can control….and focus their business in areas that will make it most attractive to buyers. Over time, they can build value in their business by growing the business while decreasing its riskiness to a potential buyer. They may also be able to manage their business in such a way that its working capital requirements are lessened (which is a great idea whether you plan to sell or not). Buyers can narrowly focus their pursuit of targets that closely fit their needs and that they have confidence they can integrate into their existing operations and, to the extent possible, focus on motivated sellers. There are also ways to structure a transaction that lessens risk for a buyer and give at least the possibility that the seller’s valuation objectives can more nearly be realized. That is the idea behind agreement provisions like earn-outs, contingent payments and claw-backs. While these arrangements are not usually what sellers are really looking for because they increase the uncertainty of the amount of total consideration to the seller. However, if the seller is confident of the future performance of the business under the new owners, they can make a lot of sense. Even if the seller is not so confident, they may still play a part in getting the seller the best deal he can get, with potential upside in the event of very good results for the buyer. In these ways, it is possible for buyers and sellers to meet at the point where valuation expectations more nearly coincide – and deals can be made. • Written policies for employee expenses, travel and benefits. Opening up in the morning and closing down at night;Forms and step-by-step instructions for routine tasks;Templates for key documents;Emergency numbers for service providers;Billing procedures for customers.How your company is positioned in the market and your marketing tools. Proprietary research you’ve conducted;A formula for acquiring new customers;Criteria you use to evaluate a potential new location;Your unique approach to satisfying a customer. Curious to see if you have a business you could sell one day? Get your Sellability Score. If you are considering the sale of your business, contact The Principium Group for more information. Click here for more information and to order Green Exit. Click here for more information and to order Charting a Course. Click here for more information and to order How to Sell Your Green Business. Also available for Kindle, Nook and iBooks.